The puppy classes were brilliant. As a first time dog owner I found them informative and enjoyable. Its definitely improved the bond with my dog too! A very informative but fun class every week! Great to get us started and give us a focus! The six weeks have been very informative and I will be practicing daily. We’re really pleased we brought Archie to DBB – he has definitely progressed and learnt things we didn’t know he was capable of. It’s fun for him and for us and we’re looking forward to the progression class. Brilliant basic training course as a first training for our puppy. Cheryl and her team are highly professional, and have helped teach and transform our puppy into a very lovely little doggie. Really enjoyed. Ollie has improved and surprised us at how quickly he grasped things. Highly recommended, friendly instructors. Our dog has learnt a lot and his behaviour improved a lot since attending. I started out with a very nervous dog who turned into a confident young one. 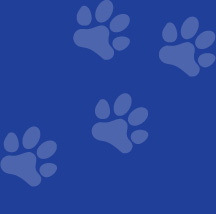 Brilliant, would really recommend – helpful + lots of content + reassurance for training a puppy. Very enjoyable. Full of useful information. We are looking forward to the progression classes. Very enjoyable for dog and myself, we have both learnt lot. Such a huge improvement. Trainers all very helpful and tailor each activity to all dogs needs. The 6 week course has been most enjoyable and I am looking forward to the next 6 weeks. A brilliant interactive supportive environment. Highly recommend for new owners and those who need support to brush up. Thank you for all your help. Have really enjoyed the classes. Will see you again soon. Enjoyed the course – signed up for the next one! Excellent course. Erik improved and thoroughly enjoyed himself. Recommend this for all dogs and their owners. My daughter and our puppy Callie have really benefited from the course and I have seen the bond between them growing week by week. I was very impressed by the thought that went into the classes and particularly getting the dogs to think for themselves. I would highly recommend. My naughty 19 week old Cocker Spaniel now listens to me, comes back when I call him and finally leaves things when I tell him to. Very thankful and so glad I came. This course gave all the basic commands for a puppy, really useful info, and helpful instructors. Lovely, friendly and informative classes and teachers. My dog loved it. Thank you very much. We are very happy with the training. Enjoyed the classes and the useful tips given. Very useful, our puppy has learnt lots! Second course we have done – the training is invaluable to us and our dog. Coming back for Progression. Enjoyable, informative and very helpful. Increased our knowledge and skills to train our pup!! Really pleased with the course and able to see a good improvement over the 6 weeks with specific help with pulling on the lead. A great class to socialise puppies and owners! I really enjoyed attending the puppy classes. We learnt a variety of things which will be helpful going forward. I would definitely attend another Dogs Behaving Badly class. Enjoyable, fun, very useful. We’ve learned a lot as well (not just the dog)! Great course, puppies really enjoyed it. Would recommend. Well organised course. Helpful instructors. Written advice good also. Great course, Anika has come on incredibly well. Great class, looking forward to the Progression course. Excellent class, gave a total beginner a place to start and helped to build my confidence. Very enjoyable and worthwhile classes. Was unsure about using the clicker, but since the training and using it I have seen a huge improvement in my dog’s behaviour, as well as learning other things. Who knew you had to teach them to catch! Great class and thank you. Very enjoyable. Great instructors, loved the tunnel class. Will recommend! This course has been invaluable in instilling good behaviours in my “ASBO” cockapoo! Informative and logical, the trainers were excellent. Clear, fun and has made a big improvement to our dog’s behaviour. Instructors were very friendly and always willing to help on a one to one basis. They made a conscious effort to learn all dogs names. Overall very satisfied and excellent value for money. Jeff really enjoyed socialising with other puppies and learnt some great tricks along the way. Fab, thanks! Our whole family attended the puppy classes and the staff were very patient with the puppy and the children! It has been great too make sure we are all doing the training consistently. Our puppy loved the classes and learnt so much in 6 weeks. Thanks to you both. Very enjoyable, was easy to understand and carry on at home. Didn’t move too fast. An informative and interactive course for all levels of training needs. Really helpful for an energetic Jack Russell! Just what he needed! Great training programme, fun for dogs and owners. Carry on as normal. We had an amazing time. Thank you. An enjoyable mixed breed class of varying abilities (dogs & owners). Great to see them all progress over the weeks. Looking forward to Progression class and further training. A thoroughly enjoyable 6 weeks. Our dog has gained a lot more confidence. All the helpers were very friendly and helpful. Great course. I have thoroughly enjoyed building on training with my puppy and she has improved greatly over the last 6 weeks. Would recommend for any newcomers to the dog world, amazing and lovely trainers. Friendly instructors, fun exercises and a tired dog at the end! We really enjoyed the course. It trained us as much as training Forest. Its given us more confidence in keeping our dog safe and under our control. Really been a helpful course. Made great improvement with Mickey. Plenty of people to help. Thoroughly enjoyable experience. Shall recommend highly. Both myself and my puppy have thoroughly enjoyed the 6 week course and have looked forward to attending each week. We have both learned new skills and my puppy’s behaviour has greatly improved. I look forward to starting the advanced course next week. A fantastic puppy class to socialise your puppy with people and dogs in a friendly environment with positive training techniques. I would highly recommend. Really good class covering loads of different things. Thanks v much. Fantastic course. Kids loved it! Lovely helpful people – thank you! This was a very enjoyable 6 weeks. Cheryl was very informative and clear on all issues. The helpers were great and walked round to give advice. I would say outstanding experience. Really effective training methods taught in simple ways. Really enjoyed the sessions and has really helped my dog’s behaviour. Great start to training my dog. Very patient and always positive. Thank you. Will be back for next course. Really helpful class with lots of different tips on how to encourage your dog to follow training. Friendly trainers and all very welcoming. Thank you. Saw a massive improvement in Sonny. Thank you. Excellent course to teach us owners how to interact and challenge our dogs! Great advice, 121 help every week, excellent for interaction with other dogs/puppies. Thank you. Brilliant course, thoroughly enjoyed by myself and my puppy! The instructors were very helpful and gave some very useful advice. Thank you. Friendly welcoming class. My 4 year old daughter has learnt control of our puppy which has helped her bond. Thoroughly enjoyed course. It has made Dudley more confident with other dogs and has socialised him. Great for dogs of all ages to learn basic skills and commands. Would recommend. Very happy with the class. It has given us all the tools to enable Paddy to be good and clever. An enjoyable group of lessons for us both. Very helpful tutors and easy to learn techniques. Thank you. We found the Progression course a perfect step after puppy classes. The mental exercises we were taught have helped keep our spaniel entertained at home! Nice size hall and great advice! !